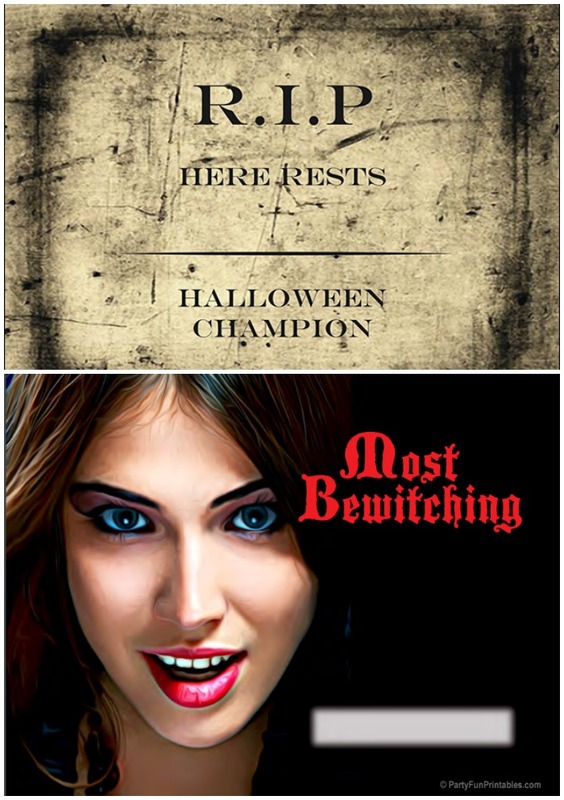 Add some fun, spooky, and even downright hilarious adult Halloween games to your next party and help your guests discover why this is definitely not a “kids only” holiday. Halloween provides the perfect excuse to don creative costumes, explore our wild and crazy side, and maybe even test our adventurousness and bravery. So pull out the creepy decorations, whip up a spine chilling menu and start an annual Halloween tradition with games and activities that will make your party the event of the season. 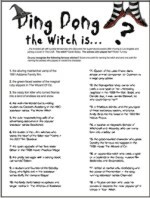 Bewitch your guests with Halloween trivia like Ding, Dong, The Witch is... or a horror movie Who Dun It quiz. Character Description: Bewitchingly antagonistic mother-in-law who was forever popping in and referring to her son-in-law by the wrong name. We may have outgrown trick-or-treating, but we all have a kid in us that still loves to put on a costume and join in the fun of Fall's most exciting celebration. While we don't really need an reason to have a party, Halloween gives us an excuse for temporarily setting aside our seriousness and acting a little silly. So, while the kids are preparing to scour the neighborhood for a year's supply of sweets and treats, you can plan a party full of food, fun, and adult Halloween games that will provide thrills and chills for all those who are still kids at heart. Guests are invited to the gala of the season hosted by Hollywood's most acclaimed director. Unfortunately, amid the festivities, an award-winning celebrity will meet their demise, leaving guests with the daunting task of solving this puzzling mystery. 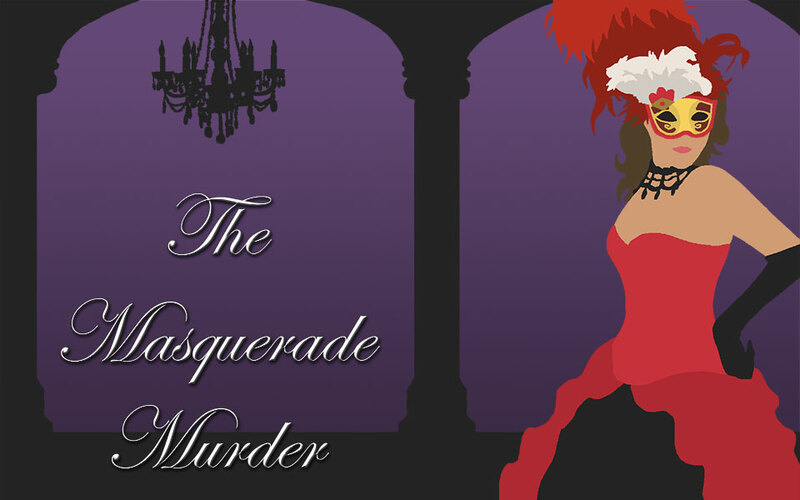 Vary the theme by creating your own version of the game “Clue”, or planning a red carpet horror film premiere where the fictional script becomes hair-raising reality. 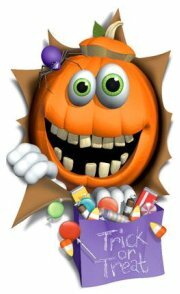 Jack-o-lanterns have become the recognizable symbol of Halloween because everyone knows that nothing livens up a party more than a little pumpkin fun. Have your guests compete in a pumpkin carving contest, or raise the artistic ante with pumpkin painting where everyone is free to exercise their creative license. Add a little comedy with some pumpkin bowling using real pins or sand-filled soda bottles. Similar hilarity can also be achieved with pumpkin bocce or pumpkin ring toss. 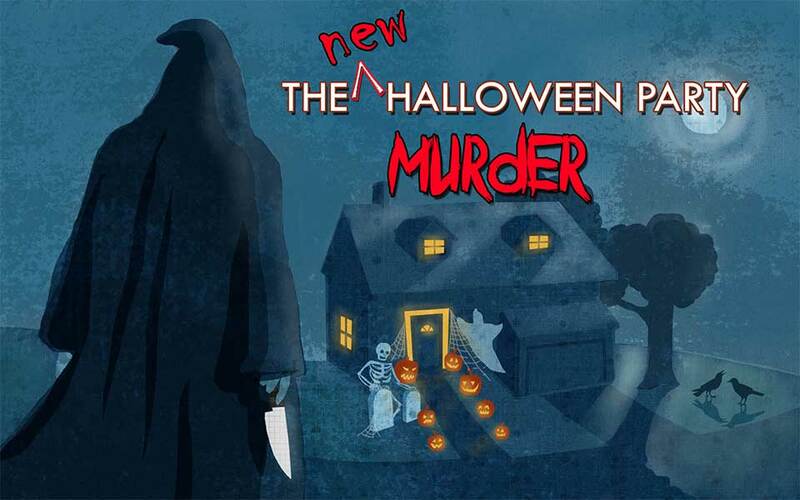 Halloween is the perfect time to test your mettle and challenge your courage, and creating an eerie version of this popular game will provide hours of spine-chilling fun. 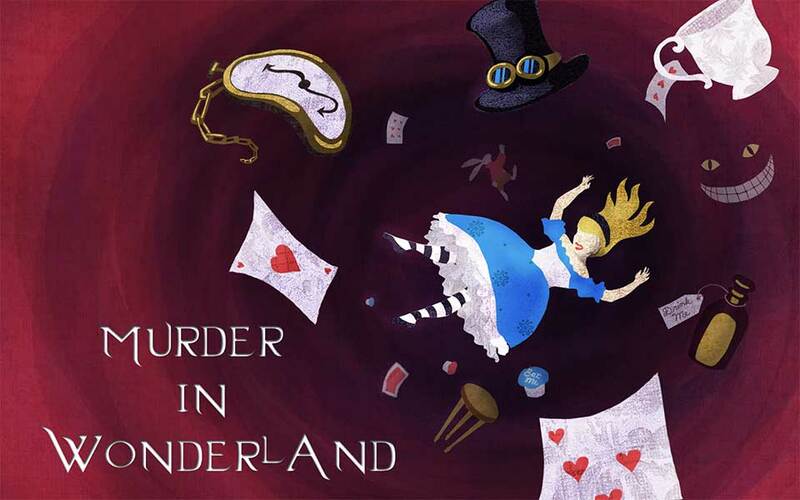 From choking down chocolate covered insects, to sinking hands in unknown squishy matter, or guzzling cauldrons of mysterious brew, guests will face the challenge of proving their bravery and protecting their pride. 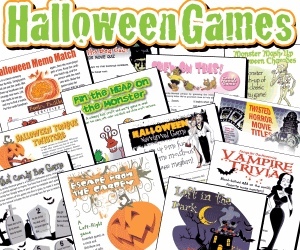 If you are looking for a great ice-breaker or a perfect way to add some excitement throughout the evening, printable games provide the ideal solution. 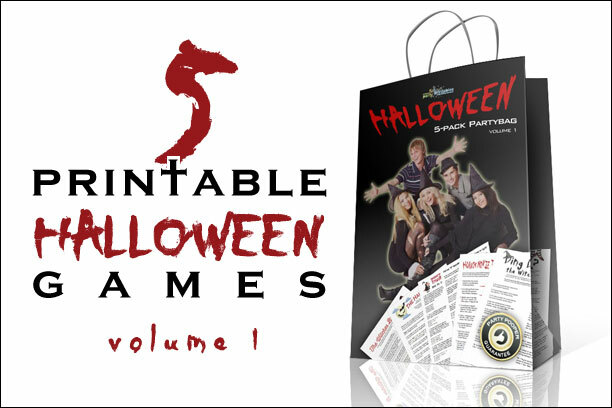 From a quick game of Halloween Bingo to challenging trivia or fast-paced matching quizzes, you can easily find something fun that fits your theme and will keep your guests entertained. Play some Halloween songs and see if your friends can identify the artists who made them famous, or test their knowledge of horror films by asking them to match titles with directors, quotes to characters, or scary props with spooky scenes. Of course, a little eerie background music, some fog, and a dramatic MC to officiate the games can add an extra special creepy touch. Guests will love getting into costume and heading out in search of tricks, treats, and hidden objects. 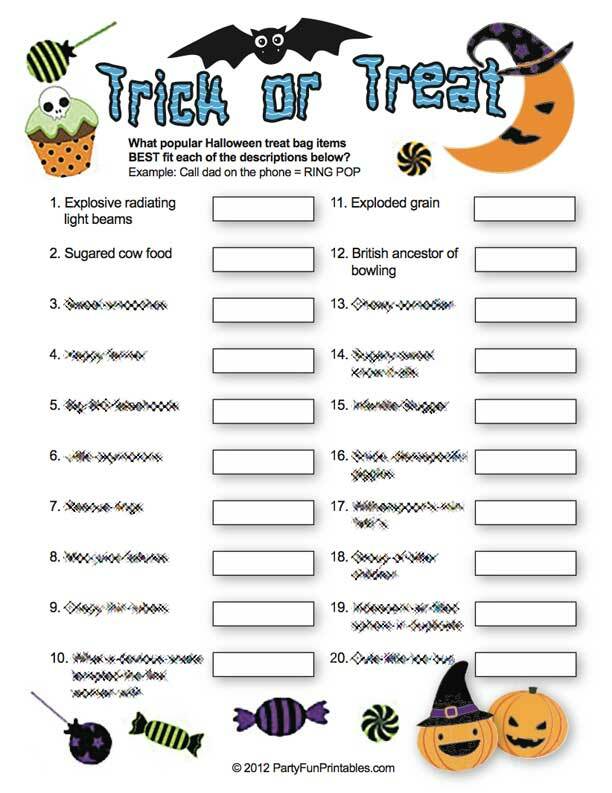 Have teams record their findings with a cell phone or video camera and award prizes to the group that finishes first as well as bonuses for such things as 'most creative', 'most hilarious', or 'most frightening'. For an added twist, send your friends on a costume hunt, traveling to various locations in search of individual pieces to complete their specific character's attire. 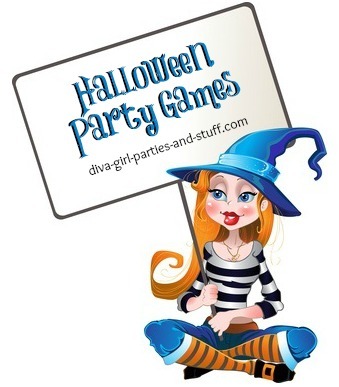 Charades is always a favorite party activity and it can easily be made theme appropriate by including categories such as horror movie titles, scary songs, ghoulish props, or famous frightening phrases. Vary this with a Halloween version of Pictionary. Guests will have fun writing a script and planning and producing their own short scary movie. You can provide props and backdrops, or have them bring their own. After viewing everyone's masterpiece, hold a vote and award the Oscar to the best film making team.